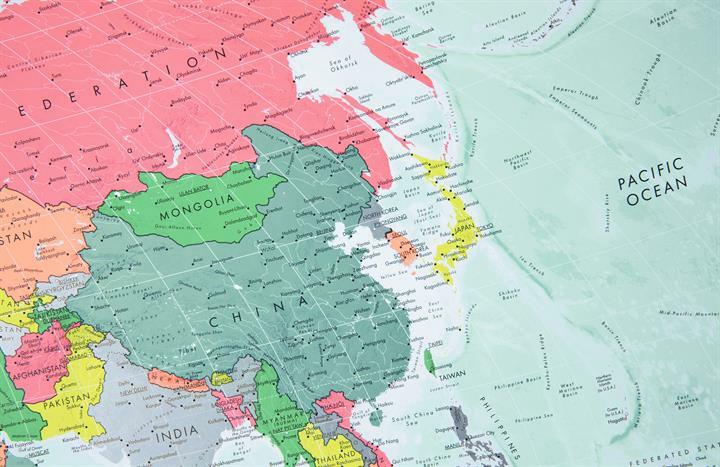 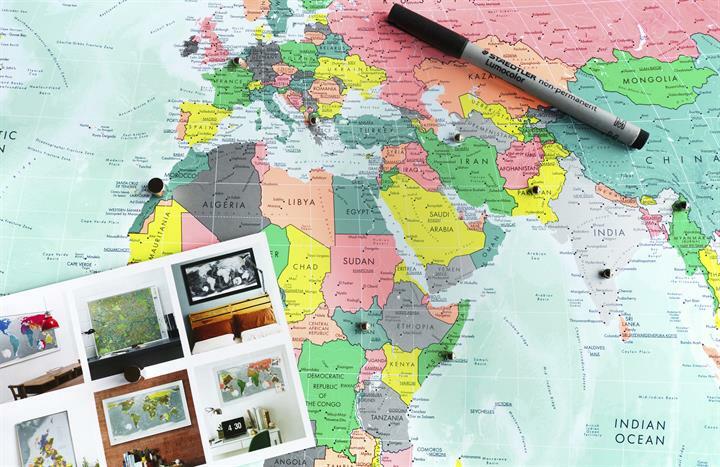 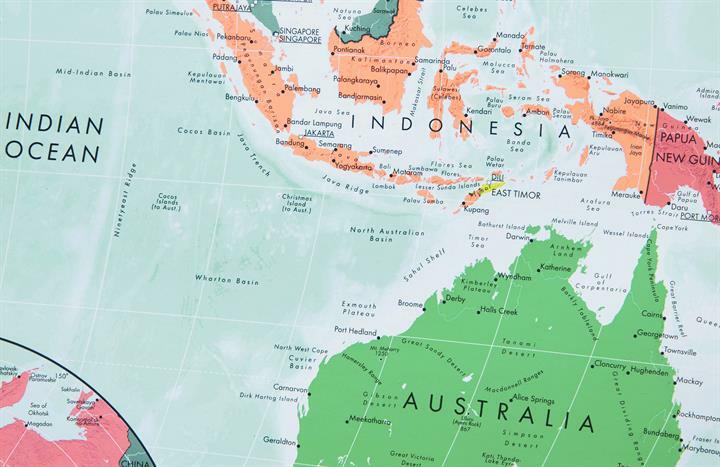 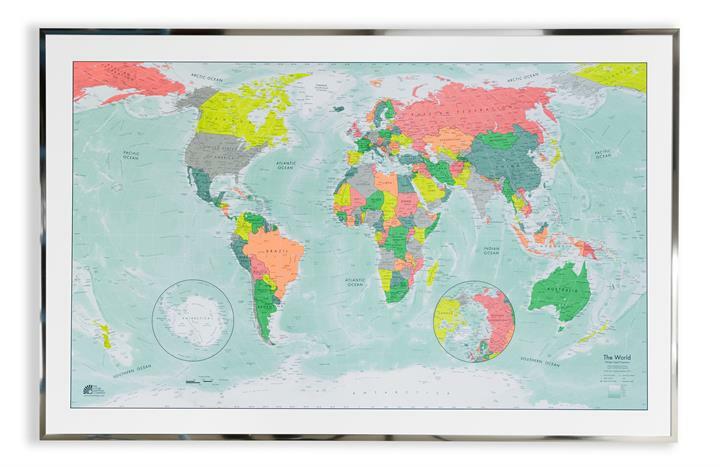 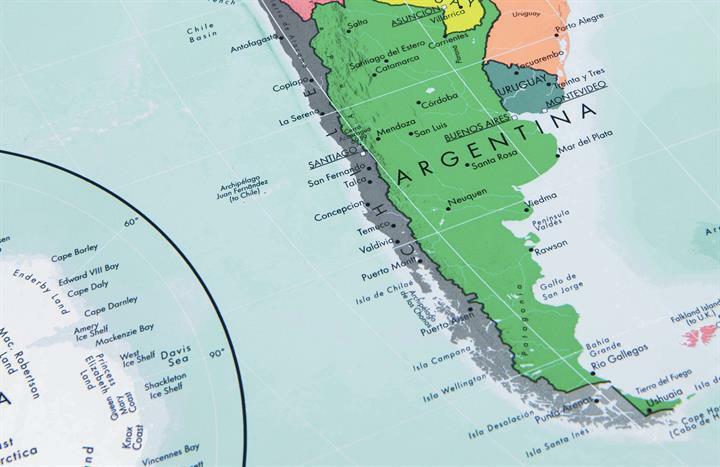 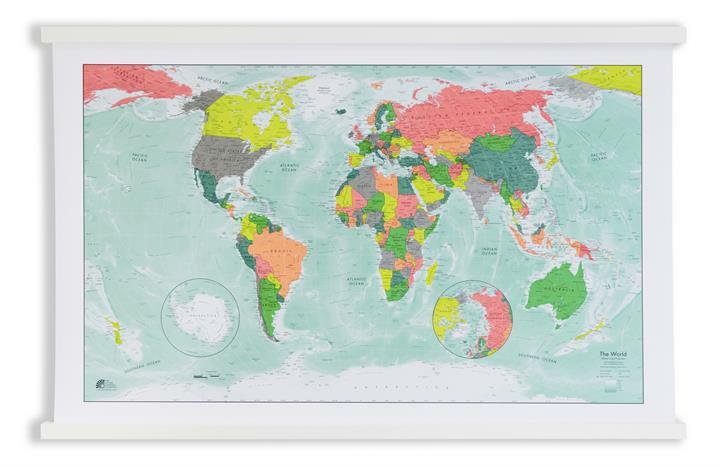 A stunning reference map that is proud to be a piece of wall art for your home or office wall. 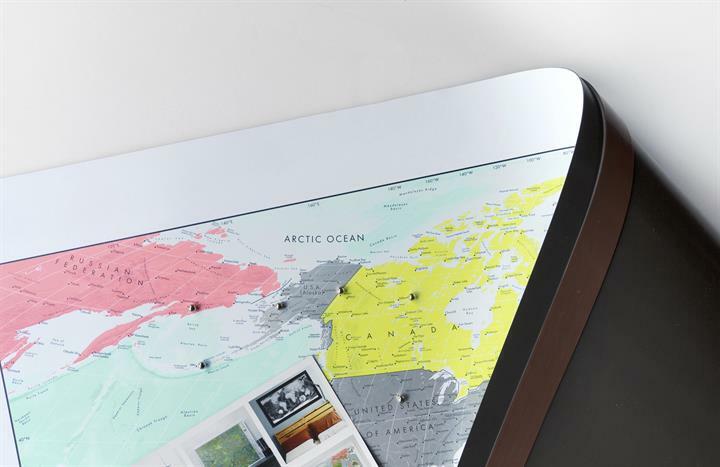 The map utilises, and indeed elevates, the classic Winkel Tripel projection to a bold modern aesthetic that is sure to make an impact in any interior setting. 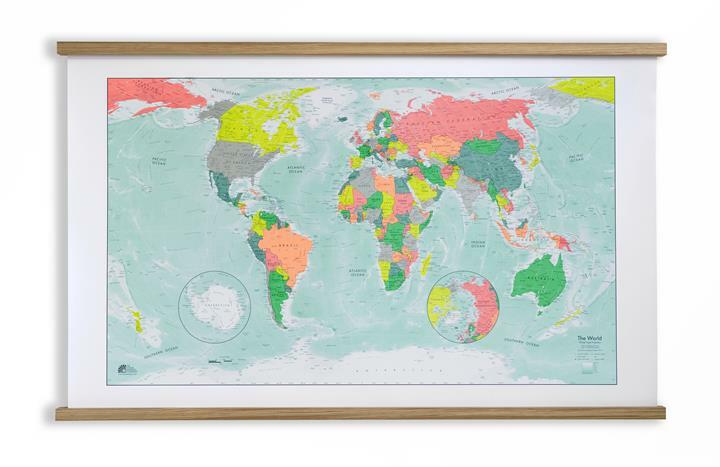 First seen in print in 1955 as The Times Atlas of the World, the projection was designed by Oswald Winkel in 1921 with the aim of minimizing the three areas of distortion faced by map makers: area, direction and distance. 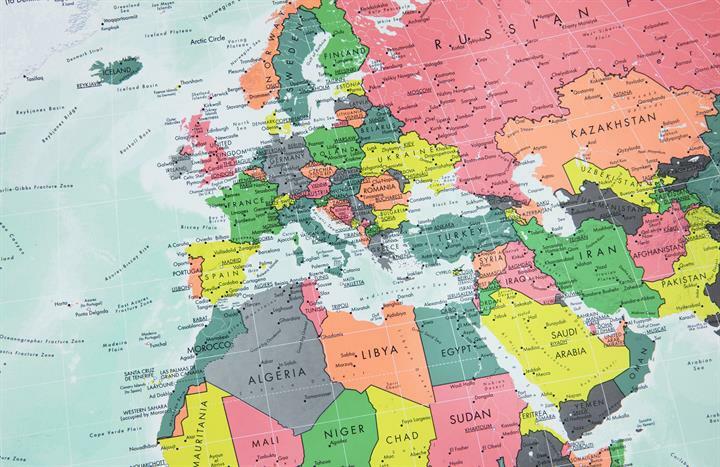 Thus it became the Tripel Projection (Tripel is German for triple). 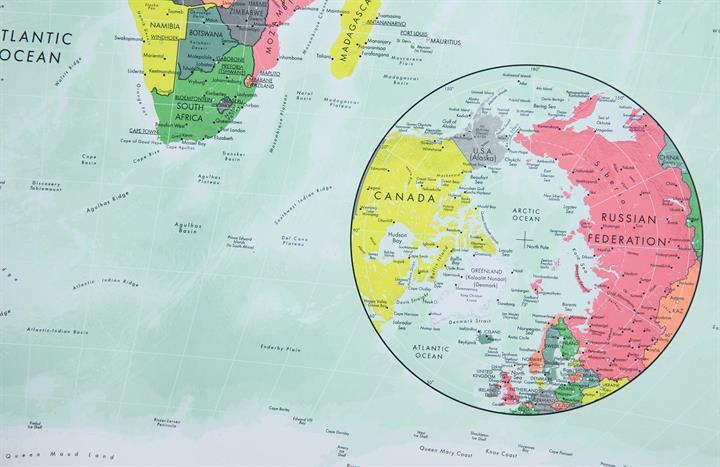 The result is a wonderfully spherical-looking map, which gives a graceful curve to oceans and landmasses alike. 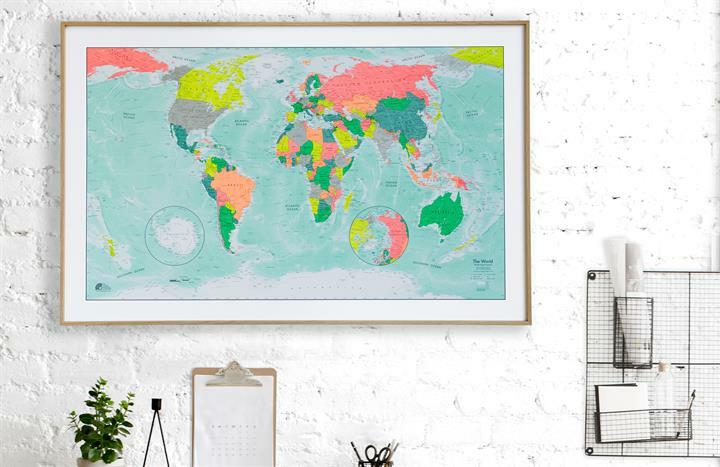 A true celebration of the beauty of mapped data. 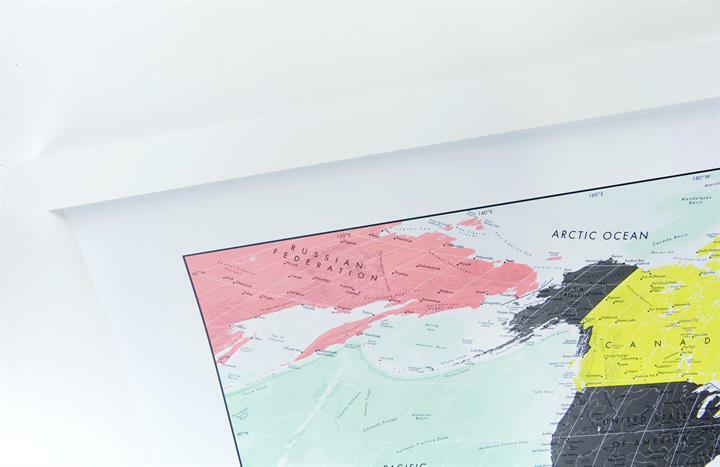 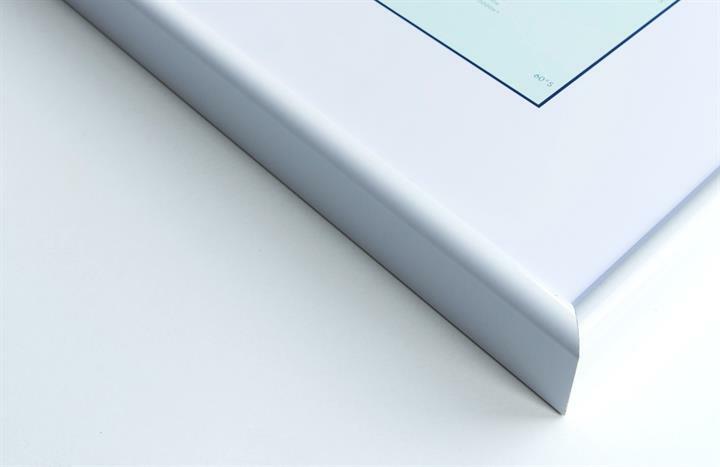 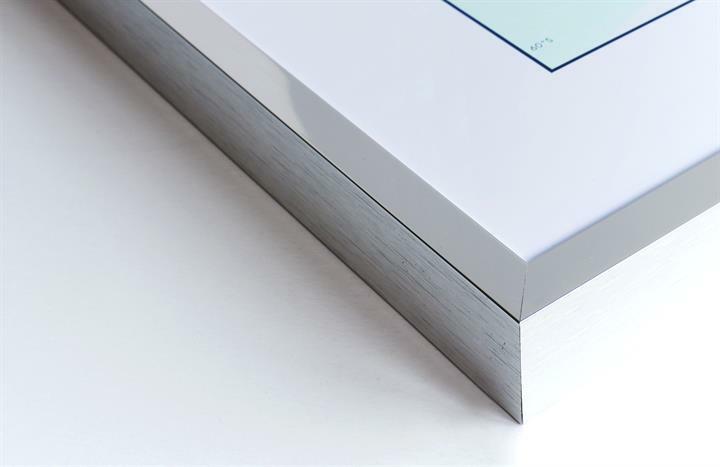 This top quality, 8 colour lithographic print rejoices in the freedom the craft and process allows, mixing metallic and fluorescent inks through political and physical data to dramatic effect. 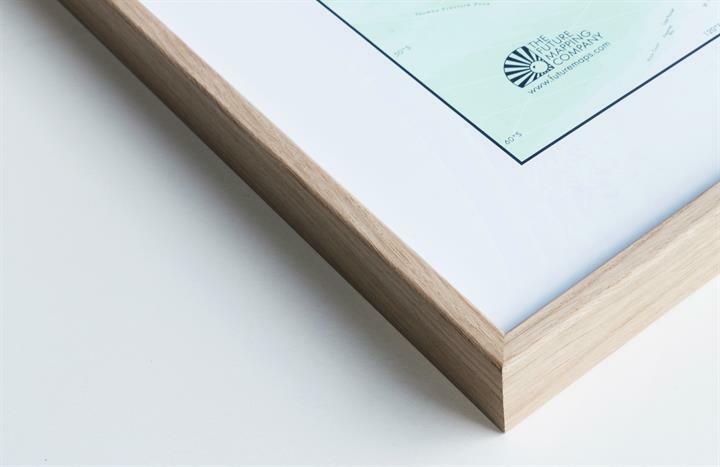 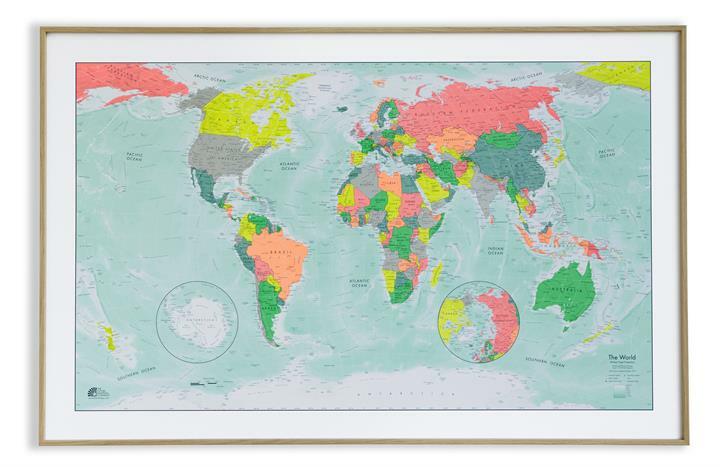 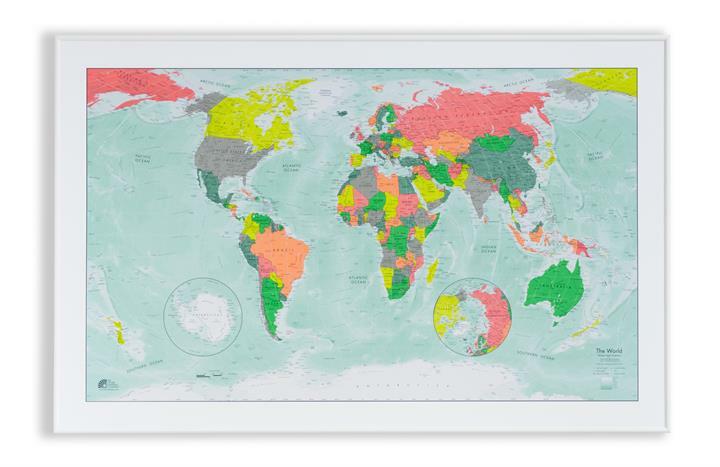 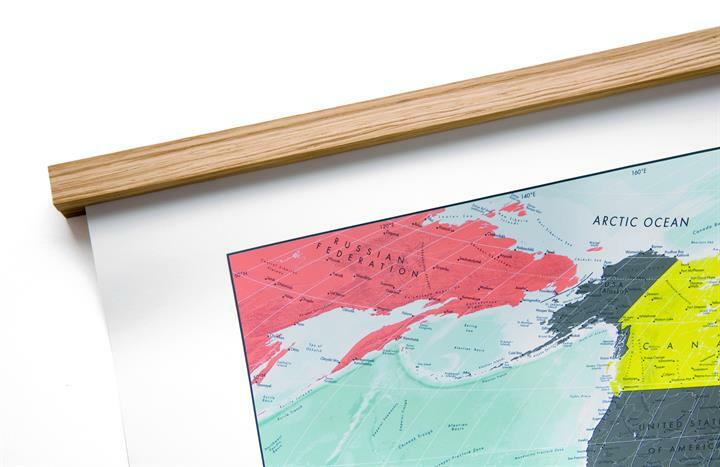 A stunning work of art for your home or office wall, but equally, a great reference map. Displaying countries, capital and major towns and cities, it highlights major rivers, peaks and lakes, as well as naming many physical features both on and offshore. 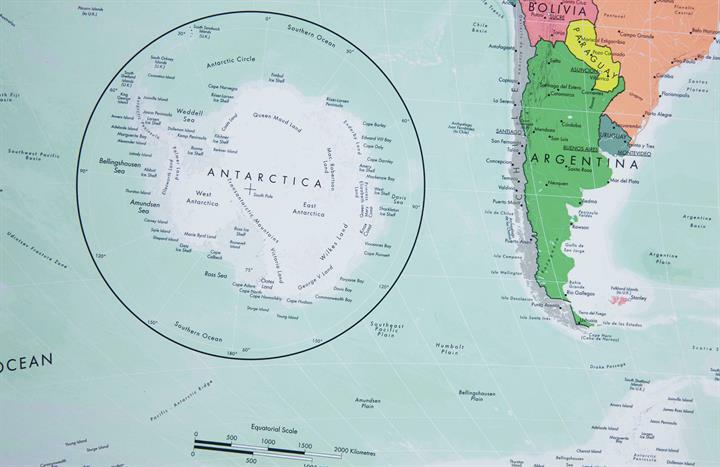 The data is completed with inset north and south pole projections.